It’s my very first custom action figure I’ve ever built. For the sake of being the first in the world to attempt to build such an interesting figure, I will be unveiling progression photos and production notes. A ton of photos and updates will be here and at my progress posts on my blog. I love it that you are tackling Krang's body, that design deserves a physical representation. I didn't think X Body was as tall as the Android body, but it's a nice base for a custom. Wow. Well, it's certainly ambitious! Never thought I'd see a gutted/re-purposed Krang android. Like CK implied, I think the original idea was for it to be a standard sized action figure, but this scale would definitely give one a sizable canvas for sculpting all that detail. He'd be quite formidable! Best of luck. Thanks I really appreciate it. Any feedback whether constructive or positive with concerns is totally welcome. I always assumed this figure was intended to be an 11" or 12" figure. I guess I never thought about it being a 5" figure. 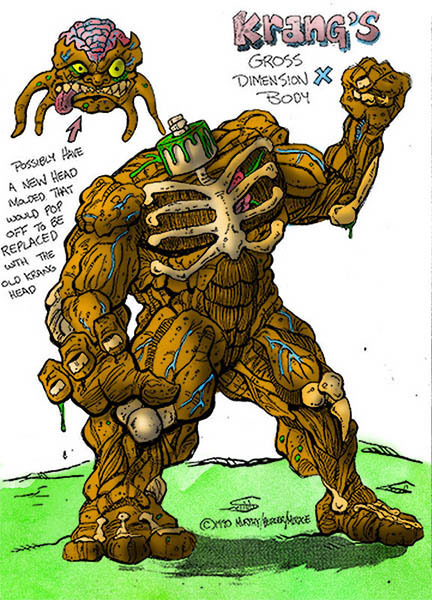 Custom Toy Builder and forum member Galoob23 had observed the 2008 Marvel Hulk Abomination figure is pretty much a direct ripoff of this body concept art drawing. That figure is the standard 5" or 6" size I believe. Maybe he will chime in this thread soon with a photo. Cool idea! Looking forward to see how it all comes together! I have another project in the works too - and thanks to oldmanwinters I can get finalized on the card art. I was thinking on that theory again some more. If the original brain head would fit on top, how would that be to scale with a 5" figure? Would that even work? Hey how's this coming along? Curious to see the progress. It's going really well. I've spent the past week busy with other projects, but the head sculpting is coming along nicely. I should have a new post next week. I'll definately do that! 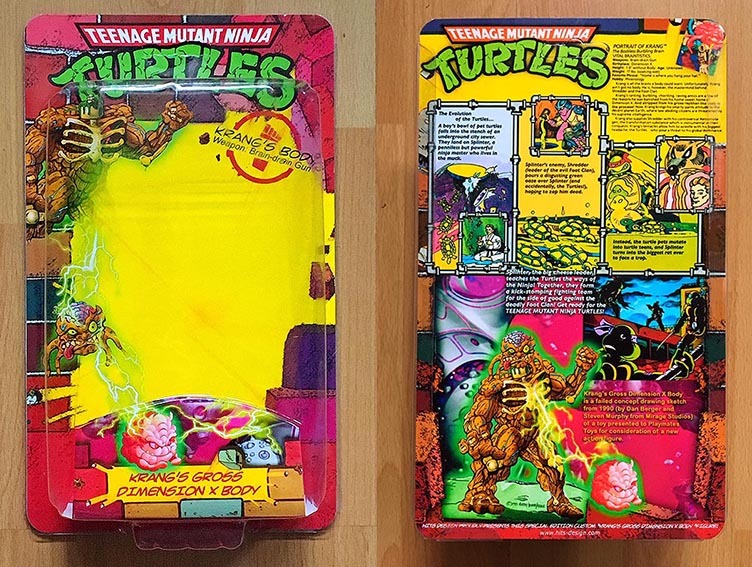 But first I have to wrap op the 12 inch Giant Cyber Samurai Turtle in his box! Last edited by Galoob23; 01-31-2017 at 01:49 AM. If you're still wondering what to use to fill in the cavity you could try aluminum foil. Guys I have not abandoned the project at all - turns out, after January hit everyone in my household got super sick and we got snowed in twice so I've had a lot of distractions lately. More updates to come soon. oh and a big Thank you to tmntfannumerouno for the sound advice on the stomach cavity. I will reveal my 6 inch Krang with Gross Dimension X body soon! I posted the colorway in another thread but will post him here as well. I like the color scheme and I can't wait to see the finished figure. Update: I finished the packaging!